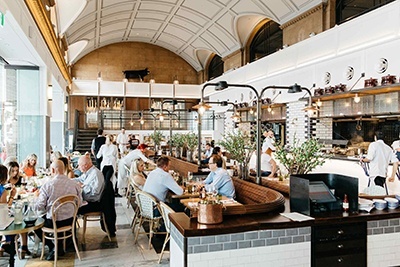 Housed in the historic railway station, Adelaide Casino offers excellent entertainment right in the heart of the city. With 1500 gaming machines, 200 table games, three VIP areas, a dedicated poker zone, and three ways to enjoy roulette, the casino is one of Australia's better places to gamble. Despite being over 30 years old, the property has kept up with the times thanks to a series of refurbishments and renovations. Besides great gaming, visitors can discover impressive restaurants, excellent bars, and an overall welcoming atmosphere. That was back before most gamblers even realised that they could play roulette online! The software is based on the tried and trusted Microgaming software, which has been used nicely in a very wide variety of online casinos and, in Spin Palace Australia's case, it has certainly been successful. At one point, this operation was even selected as the Editor's Pick in Online Gaming Magazine! Spin Palace Casino accepts Australian players and loads of deposit options - just read on to learn what it takes to get started! Adelaide Casino definitely covers all the bases, at least as far as roulette is concerned. Not only can visitors enjoy European and American games at diverse stakes covering both ends of the spectrum, but there are three distinct ways to play the game. Namely, players can choose from traditional tables, rapid roulette, and digital Vegas Star roulette. Despite the presence of alternatives, conventional roulette tables continue to be widely popular at casinos in Australia. Still, that hasn't stopped management from replacing standard tables with newer technologies at many gaming establishments. Fortunately, the casino in Adelaide still has 200 tables including a couple dozen dedicated to roulette. That's great news if you want to experience the game in its classic form. It's easy to get a spot at a table quickly unless you want to play for low limits or it's the weekend. We found all the dealers to be proficient and friendly too. Rapid roulette puts a fresh twist on your game of choice. When you play rapid roulette, a croupier will still spin the wheel. The difference is that you'll place your wagers using a touch screen terminal rather than with chips on a physical table. The main advantage is faster gameplay, but it also means dozens of people can play comfortably at once. You'll also find greater betting flexibility, especially if you can't meet the traditional table minimums. Vegas Star roulette is the computerised version of roulette. Although there are versions of the game that use a robotic wheel, at Adelaide Casino the game is strictly digital and makes use of random number generator to deliver the results. The gameplay is similar to what you can find at online casinos. This game is particularly popular with beginners, although the game has enough flexibility that it attracts experienced players who simply want to try their luck at something new. You'll find three floors filled with dazzling games at Adelaide Casino. Try your hand at standard, blackjack, baccarat, Caribbean Stud, pontoon, Texas hold'em bonus poker, party blackjack, big wheel and more. If you love pokies, you'll find more than 1,500 gaming machines including linked progressive jackpot games. The dedicated poker zone features plenty of cash games and tourneys for Omaha or Texas hold'em fans. With Sportsbet and TAB equipment at the casino, you won't have to miss an opportunity to bet on key matches. 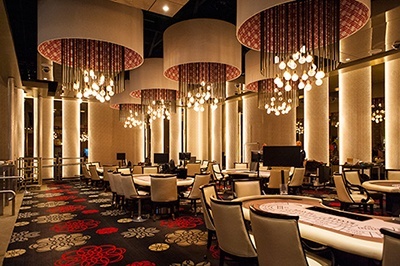 The casino offers three VIP areas for its valued customers. Eligible high rollers will want to head directly to the Grange Room for fantastic table games in an exquisite atmosphere. If electronic games are more up your alley, the Platinum Room and BLACK are ready to cater to your every whim. 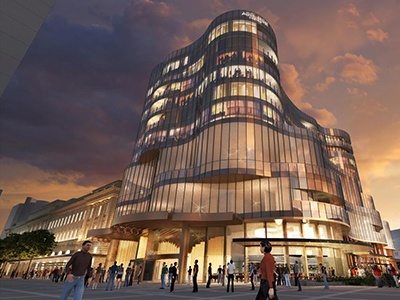 As a Skycity property, Adelaide Casino participates in the Premier Rewards program. Membership is entirely free and gives you the power to collect points when you play, dine, or eat at the casino, which you can cash in for casino chips, gifts, accommodations and more. Depending on your status you'll have access to outstanding perks like discounts, free valet parking, access to VIP areas, and free meals. Your Premier Rewards card gives you access to all sorts of promos including draws for cash and prizes. One of the great things about Adelaide Casino is that management aims to make all players comfortable. Unlike most reputable casinos, you'll find low limit table games on Friday and Saturday evening rather than just when nobody is around. There's even a special game called free bet blackjack. Don't forget out to check out all the promos at the restaurants and bars while you're at it. Adelaide Casino is home to fabulous restaurants and cafes. Sean Connolly's appropriately named Sean's Kitchen restaurant serves a mouth-watering menu with an emphasis on local ingredients. Enjoy everything from kimchi dry-aged burgers and scampi crudo to lamb shoulders. If you find yourself craving Asian cuisine, Madame Hanoi's is brimming with everything from Vietnamese street food to chicken curries. For a genuine casino experience, Fortuna Buffet cooks up an impressive all you can eat spread. The Barossa Café and Café Junction are great options if you want a quick meal or snack. The former is open 24/7 for your convenience. You'll find five great bars at Adelaide Casino. Prepare to delight in the view from the beer garden at Backyard Bar. If you're looking for the best live entertainment in town, you can head outside to Oasis or relax inside at Chandelier Bar. You can count on great singer-songwriters, DJs, bands, and local favourites at both venues. Whether you're looking to place a wager or just feel like watching sports on the big screen, Grandstand Sports Bar is where the action is. Adelaide Casino accepts a whole host of Australian-friendly banking options. These include Visa, Mastercard, Maestro, PayPal, POLi, Neteller, Ukash, ClickandBuy, and many more.